Please find below classifieds in category Real estate services category in Indianapolis. Please use the form above to refine your search in Real estate services in Indianapolis. If you can not find what you need in Indianapolis please add your wanted ad to let sellers contact you. If you want to keep your contact info confidential enter only your email address so you will receive offers into your account in our system. You can click Post a classified ad link below or the button Post classified for FREE in top right corner of this page to post your classified ad in category Real estate services in Indianapolis. It is fast, easy and free to post an ad in FREEADSinUS.com. It will take you just few minutes to have the ad available on our listings. You can edit your ads any time by clicking “Edit my ads" button on top right corner of this page. Category / Classification	:	Real estateAdv.Text	:	For best Resale properties & best bank ceased properties please visit the following website: http://www.9292801216.in/ Company Name	:	SMS 2 ALL ENTERPRISES FirstName	:	Narendar LastName	:	Nath Address	:	CTC Parklane City	:	Secunderabad State	:	Andhra Pradesh Country	:	INDIA Zipcode	:	500003 Telephone	:	9292801216 Fax	:	Website	:	http:// www. 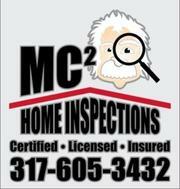 MC2 Home Inspections is an Indiana owned and operated Home Inspection Company. Certified, licensed and insured home inspectors proudly serving the entire Indianapolis metro area. Member of the Central Indiana Better Business Bureau, The International Association of Certified Home Inspectors, and Angies list. This is classifieds listing page in category Real estate services in Indianapolis. The listings include ads for sale and wanted ads posted in Indianapolis location on our site or sourced from Oodle.com from categories related to Real estate services. If you posted an ad on this page before please click "Edit my ads" button to sign in your account and edit your classified ads, check the requests sent to you from your ads contact forms or check the offers sent to your wanted offers. Real estate services Indianapolis classifieds, Indianapolis ads, Indianapolis classified ads, garage sale Indianapolis. Find here ads for sale, to buy and rent in Indianapolis. Goods for sale in Indianapolis, vehicles for sale in Indianapolis, Indianapolis real estate for sale, Indianapolis property for sale, property for rent in Indianapolis, business ads in Indianapolis, Indianapolis business classifieds, services in Indianapolis, Indianapolis services ads, jobs in Indianapolis, pets for sale in Indianapolis, Indianapolis dating, Indianapolis cars for sale.